STEPHEN ESPINOZA, President, Sports and Event Programming, Showtime Networks, Inc.
“SHOWTIME is the home of the biggest fights and brightest stars in boxing, so we are particularly thrilled to be here at the home of the best professional franchise in sports, the Dallas Cowboys. We’re proud to be bringing the first boxing event ever inside of the Ford Center and we can’t wait to show off these facilities on SHOWTIME in June. “This is the first world title fight in Dallas in quite some time and I can’t think of anyone better to bring that here with than Errol Spence Jr. It’s fitting that the NFL Draft was here last week, because I think that if boxing had a draft, there’s a good argument Errol Spence Jr. would be the number one pick. He’s top pound-for-pound champion, he’s a popular draw and he’s in boxing’s most talent-rich division. He has the ‘Trainer of the Year’ in his corner and has won 10 straight fights by knockout, from contender to champion. That is the sign of a truly great fighter. “The great thing about boxing and for Carlos Ocampo, is that none of those accolades matter on June 16. Rankings, opinions and belts don’t matter. It’s just two guys in a ring and only one man will win. He’s spent his whole life working for this opportunity and I believe that will make this an exciting event. 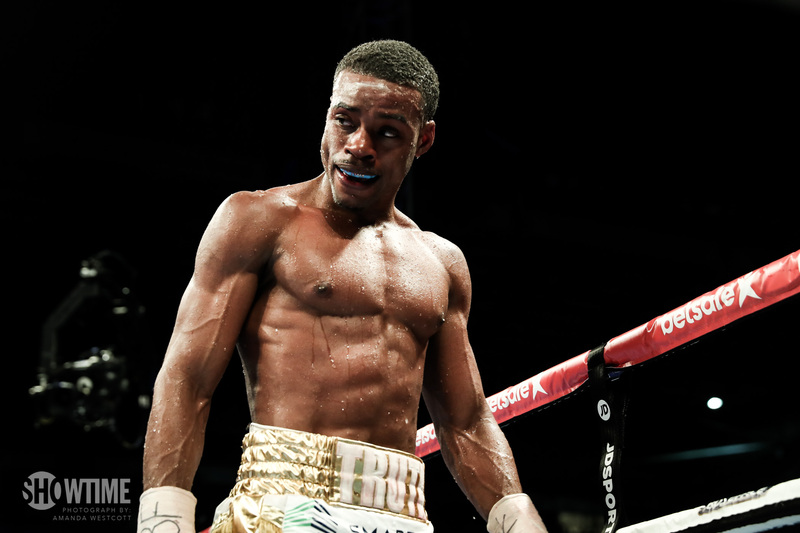 “With IBF Welterweight World Champion Errol Spence Jr. making his homecoming debut at this great venue, the Headquarters of the Dallas Cowboys, I know that this is going to be a hot ticket and one you’ll want to purchase right way. “A lot of hard work went into getting this event together at this great venue and we’re thrilled to be working with the team here at Ford Center to bring it to the fight fans of this city. “These are two really special young men on this stage and this is the kind of event that we had in mind when we opened The Star. To be able to have great athletes like these as part of unique events at The Star is something we’re very excited about. “We like to create versatility for this venue and we want to bring all types of sporting events here. This doesn’t happen without the city of Frisco and the Frisco independent school district. We’re also honored to partner with TGB Promotions and Premier Boxing Champions for this groundbreaking announcement.